From fairness and generosity to responsibility and respect, instilling good character traits is a high priority for most parents. Children learn about character through their relationships and interactions, and they learn to model the behavior that they see around them. We place a lot of emphasis on academics in education, but are we nurturing the development of life skills while encouraging ethical and responsible behaviors? This is where character education comes in. Character education is about teaching children valuable life skills and values that they will carry with them throughout their life. Doing chores with your children is a great way to get them to warm up to the idea of responsibility. By inviting your daughter to join you in the housework next time, she may feel like she is being valued. Your child will take pride in being able to help you with your work and will most likely strive to maintain this feeling. Not only does this teach responsibility, but also teamwork. It’s important to demonstrate to your child how chores are done before you assign them any of their own. Start with the small tasks, such as showing your son where the hamper is and how to put his clothes in there when he is done wearing them. Then work your way up to larger tasks such as showing him how to clean up a mess when he spills his food or drink. If you give your child tasks that are too difficult for her to complete, then she may get frustrated and not want to do them. That’s why it’s important to assign your child chores and tasks that are age appropriate. A toddler should be able to put the toys away when she is finished playing with them, or carry the dishes to the counter after she is finished eating. A preschooler should be able to set the dinner table, feed a pet, and dust her own room. An elementary aged child should be able to do the dishes, pack their own lunch, and vacuum the rooms. Sometimes your child might not do their chores. When this happens, you can use this as an opportunity to help your child develop a sense of responsibility for his actions. If your child leaves toys lying around the house, tell him that he won’t be able to play with those toys until the next day if he doesn’t pick up after himself. You will have to put your foot down by taking those toys away. Although there might be some crocodile tears, your child will ultimately learn that if he doesn’t take his responsibilities seriously, then he will suffer the consequences. Chances are your four-year-old won’t be making the bed perfectly. It’s important that we manage our own expectations when we start giving our children their own responsibilities. Instead of criticizing them when they don’t meet your expectations, offer them recognition and praise when they do a good job. At Cranium Academy, we include character education as part of our curriculum. Our character education program integrates building good character traits with positive discipline techniques used throughout the day. Our fun character curriculum involves the use of real-world examples that rely on engaging the students’ cognitive abilities to develop creative strategies. Overall, the goal of our character education program is to encourage students to be ethical and responsible individuals. According to pediatrician Dr. Gwendolyn Delaney, when an additional language is introduced before age 5, there is a more pronounced effect on the development of greater tissue density in the areas of the brain related to language, memory, and attention. Many research studies, such as the one funded by the National Institute of Health (NIH), show that bilingual children can also multi-task better than monolingual children. Other studies have found that children as young as seven months have displayed that they are able to adjust better to changes in the environment when they are exposed to more than one language. Being bilingual can provide children with plenty of opportunities to meet new people, and open many doors in their lives. 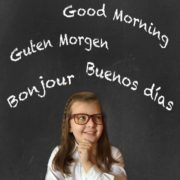 Bilingualism also gives children the chance to interact with people from other cultures, which is especially beneficial when traveling. By knowing the local language of the place your family visits, your children can truly immerse themselves in the language and culture of that place, making them appreciate the trip even more. There is growing evidence that proves being bilingual can delay the onset of Dementia and Alzheimer’s disease. Some other studies suggest that bilinguals are at a lower risk of having a stroke, and may recover faster after having one. Some research even links bilingualism to lower stress levels. Even though your child is still very young now, you want the best future for them when they grow up. Being bilingual can open up a world of job opportunities for your child when they finally enter the workforce. Many employers consider bilingualism a high priority. Since communication in the workplace is so important, your child could have a better chance of getting the job by being bilingual, even if the monolingual applicant is more qualified. In a competitive job market, being bilingual is an additional advantage that can help candidates stand out. At Cranium Academy, we recognize the benefits of teaching young children a foreign language. Our curriculum introduces children to several languages, including Spanish, Chinese, and American Sign Language (ASL). 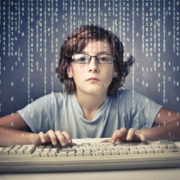 Our language programs take children on virtual journeys throughout the world. In our language classes, children learn about famous places and how children can use the powerful tool of language to live, learn, and play within various cultures. If you are a parent (and your child is not attending Cranium Academy), you have probably heard the dreaded words through pouty lips and clenched fists, “I don’t wanna go to school!” or worse yet, “I hate school!” But what exactly is it that gives children the school day blues just before getting out of the house to go to school? Reason #1 – Your child might be bored. 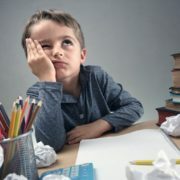 In traditional schools where teachers must remain focused on preparing kids for standardized assessment tests and state exams, the magic of learning can get lost in having to memorize lists of vocabulary words, such as “mellifluous.” Needless to say, research often shows that children learn better and retain more information when they are having fun! In many of today’s classrooms, fun is the key element that is missing, and that can be one of the main reasons why kids don’t like going to school. At Cranium Academy, we balance gifted level academics with imaginative social and play experiences. We move beyond the memorization of facts and figures, into active critical thinking. We seek to create an environment where students can’t wait to come learn! Reason #2 – Freedom may be limited. In many schools, educators offer students very few choices. Children are forced to learn and memorize a mountain of facts that may not interest them. According to Doctor Peter Gray, Ph.D., research professor at Boston College, “Children come into the world with instinctive drives to educate themselves. These include the drives to play and explore.” Many school learning environments are not created with the idea of optimizing these natural desires to learn and therefore unintentionally end up suppressing them by not giving children any freedom to choose their learning paths. At Cranium Academy, we encourage young minds to explore ‘how’ and ‘why,’ as we seek to engage children’s natural curiosity and develop a true love of learning. Reason #3 – The learning tools may be outdated. Although technology is becoming more widely accepted in the classroom, some teachers still see it as a distraction or even a threat to learning. However, this perspective doesn’t align with how kids learn today. A balance of hands-on learning and technology can help children become excited about learning and provide a more engaging way to teach new lessons. At Cranium Academy, we incorporate both hands-on exploration with the use of the latest technology in our classrooms to prepare children for success in the 21st century. From state-of-the-art smartboards, to laptops and iPad, our teachers balance technology-based learning with multi-sensory play and discovery. Teachers and parents can work together to find ways to keep education engaging and inspiring for children. Look for schools that place a high priority on instilling a love for learning in their students. Some hesitation about going to school is normal. However, if your child is consistently complaining about going to school, try to find out from them what it is about school that they do not like. Then ask to speak with their teacher to see if you can work together to find ways to help. At Cranium Academy, our mission is to make learning fun! In our classrooms, we encourage each child to learn through play and exploration. We combine advanced learning with creative play and imagination. Our revolutionary approach to education builds critical thinking skills and fosters a lifetime love of learning. Parents should not give up hope! Sometimes children go through phases where they are less excited about school. Try to stay positive and find ways to help make learning fun and exciting for you and your child! With the holiday season in full swing and the wish lists getting longer each day, we often get carried away with presents. We all want our kids to feel special, but many parents worry about spoiling their children during the holidays. Sharing our time, values and traditions with them can often be more meaningful. The holidays are a great time to teach our children lessons in gratitude, setting limits and giving to others. Holidays aren’t all about the gifts! Remind your family of this by passing on traditions from your childhood, or starting your own “no gift related” traditions. 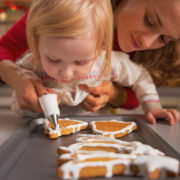 For example, you could create holiday crafts together, drive through your community to see the lights, or bake and decorate some tasty holiday treats. Children tend to become more aware of gratitude when they see and hear their parents being thankful. You can model gratitude by regularly expressing your appreciation for the people or things you have in your life. One of the best gifts you can give your children is one of service. Explain to your children the importance of generosity. Let them know that some families aren’t as fortunate as yours, so they need a little extra help this holiday season. You can teach your children how to serve others by going to the store with them and having them pick out toys or clothing that they think other kids would like. Have them help you wrap the gifts and deliver it to a family in need or a local charity. This is also a great time to go through toys and clothing in your home with your child to find things that may not be used anymore, and donate them to families in need. One of the easiest ways we can avoid spoiling our children with too many gifts this year is to set realistic financial limits and stick to them. A great way to stay on budget is to make a specific list or have your child make their wish list with their most wanted items at the top. You can cross out the rest of the items that you know won’t fit into your budget. At Cranium Academy, we believe in developing character, social skills, and good values. Taking the focus away from gifts alone will help to develop your child’s grateful spirit and build character while enjoying the holiday season! Although it’s different for each child, most kids start losing their baby teeth around age 6 when they are in kindergarten or first grade. This can be scary for some children, and exciting for others. If you have an older child as well, then you already know the drill. But if you’re a first-time parent, then you might have a few burning questions. Here are some tips that can help you tackle this toothy situation! Which teeth fall out first? According to the American Dental Association, teeth tend to fall out in the order that they first appeared when your child was a baby. However, more often than not, the two bottom front teeth will fall out first. How long do they take to fall out? The length of time it takes for teeth to fall out varies by child, and depends on a few factors. Generally speaking, a tooth can fall out within a few days to even a few months after your child first notices that it’s loose. Should I pull the tooth out myself? Many dentists agree that pulling out a tooth is not a good idea. If the tooth is pulled out prematurely, it poses a risk of damaging sensitive gum tissue, which can cause infection, bleeding, and pain. The best thing to do is wait for the tooth to fall out by itself. What should I do if my child is complaining about pain? 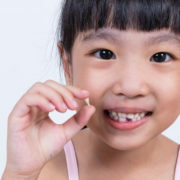 Losing a tooth shouldn’t be very painful, but if your child is complaining that it hurts a lot, it might be because they are trying to pull a tooth that’s not ready to come out. If they won’t stop crying about the pain, then you can put an over-the-counter pain relieving gel on the gum surrounding the tooth. Make sure that this gel is safe to use on children. Is it dangerous if they swallow a tooth? Surprisingly, nothing will happen to your child if she swallows her tooth. The tooth will simply pass through the body. If your child is worried about having nothing to leave under her pillow for the Tooth Fairy, reassure her that the Tooth Fairy will still come if she writes a nice note. What happens if my child loses a tooth while at school? When a student at Cranium Academy loses a tooth, our preschool, kindergarten, and elementary school teachers are prepared to handle the situation. Our teachers will guide the student to rinse out his mouth, helping the child if necessary. Typically, there is not much blood, so there is no need for gauze or additional treatment. The child receives an adorable tooth necklace to keep his tooth stored safely until returning home to proudly show off his new smile to family and friends! If your child is about to start preschool or daycare, it’s time to start breaking some of their bad habits. In this series, we will cover some tactics that will help you kick those bad habits to the curb. Today’s bad habit is nose picking. Oftentimes kids don’t even realize they’re picking their nose, especially when they are focused on something else like watching TV. Make sure you tell your child, in a gentle, non-shaming way, that you’ve noticed her picking her nose. You can even designate a secret word or signal to bring to her attention that she is engaging in the bad habit. This is especially useful in helping your child recognize the behavior when they are out in public. You should help your child want to stop picking his nose on his own. You can do this by talking about all of the drawbacks that come with this bad habit, such as spreading germs and getting toys dirty. Try to identify the times when your child is most likely to pick her nose and keep her fingers busy with something else during these times. Squeeze balls and finger puppets are good ways to keep your child’s fingers occupied. You could even encourage her to do something else instead of nose picking, like clenching her fists or squeezing the arm of her chair. On Water. Make sure your child is well hydrated because drinking a lot of water is one way to keep nasal passages from getting dry and itchy. If your child is hydrated and his nose is comfortable, he will be less likely to pick. On Tissues. Keeping tissues handy will make it easier for you to teach your child that tissues are the right way to get rid of boogers. Encourage the use of tissues as much as possible, and use them as a gentle reminder when you catch your child digging. On Band-Aids. If your child still isn’t getting the idea, you can wrap their nose-picking finger with a Band-Aid. This will help them remember not to pick every time they try to stick their finger in their nose. At Cranium Academy, our goal is to build character and leadership in every student. To provide consistency between school and home life, we work hand-in-hand with parents to help children break their bad habits. If you’re working on kicking the nose picking habit, let your child’s teacher know so that we can help you with the process. One less bad habit is one step closer to building good character and being a leader!